It has been requested that the title of this article be changed to List of governors of Connecticut. Please see the relevant discussion on the discussion page. The page should not be moved unless the discussion is closed; summarizing the consensus achieved in support of the move. 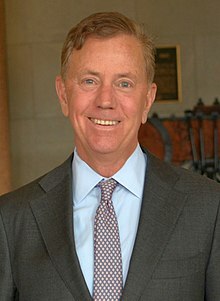 Wikimedia Commons has media related to Governors of Connecticut. This page was last edited on 11 April 2019, at 14:29 (UTC).